More Than 100 Famous Rhymes! Flash back to your childhood. 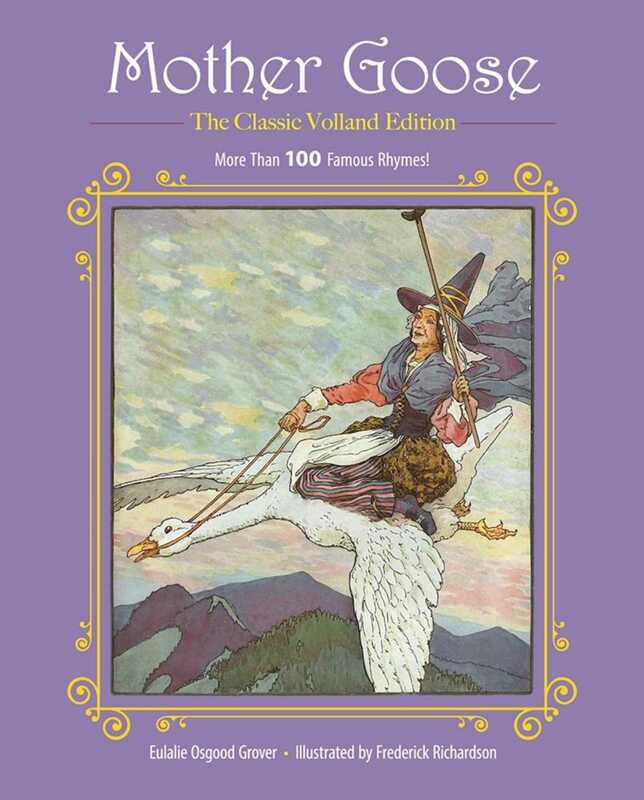 We all remember hearing the remarkable, rhyming tales from a mystery woman known only by the name Mother Goose.” Having been reprinted hundreds of times and passed down from generation to generation, Mother Goose’s stories are some of the most popular children’s poetry in the world. Originally made popular in the 17th century, these rhymes were on the forefront of fairy tale literature, and are often cited as the beginning of the genre. Now, these nursery rhymes are made available again in this stunning re-packaging of the classic Volland edition. This edition includes over one hundred and ten of Mother Goose’s most famous nursery rhymes, a foreword, and full color illustrations on every page by renowned illustrator Frederick Richardson.